 The Domain Tennis Centre offers Tasmania’s premier tennis experience. Stunning mountain and water views surround our 18 pristine courts. Whether you are wanting to have a one off casual hit, improve your tennis with some coaching or get into some serious weekly competition, the Domain Tennis Centre can cater for you. All are welcome and players of all ages and experience will find their place at our club. If you’re hoping for something a little more than just tennis, then we can connect you into the life of our club. If your interested in becoming a sponsor, would love to volunteer at one of our events, or if the idea of meeting new and old friends at one of our social nights sounds good to you – then join us as we endeavour to make our club so much more than just a great place to play tennis! Our office hours are from 9am to 6pm Monday to Friday but we are open to play tennis 7 days a week. Our address is 2 Davies Avenue on the Queens Domain just 5 minutes drive from the city centre and about 100 metres up from the Hobart Aquatic Centre.